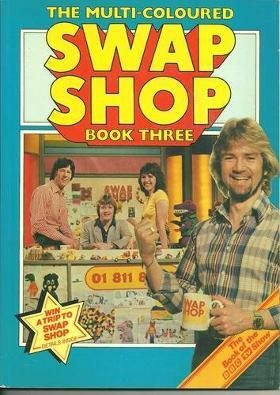 Multi-Coloured Swap Shop (better known as just Swap Shop) was created by the BBC to challenge the rival kids' TV show on ITV, Tiswas. The show was broadcast live for around three hours every Saturday morning (from 9.30am) and ran for six series - a total of 146 episodes. The main presenter was, of course, Noel Edmonds who is better known these days for hosting the Channel 4 game show Deal Or No Deal. Other regular presenters on the show were Keith Chegwin, Maggie Philbin (she joined the team in 1978) and John Craven. Another regular character on the show was the stuffed dinosaur Posh Paws, which is an anagram of Swap Shop. Many people wrongly thought that Posh Paws was Swap Shop backwards, but it wasn't, as that would be Pohs Paws. The show was a huge success, but was replaced by Saturday Superstore in 1982 as the presenters agreed that it was time to move on. 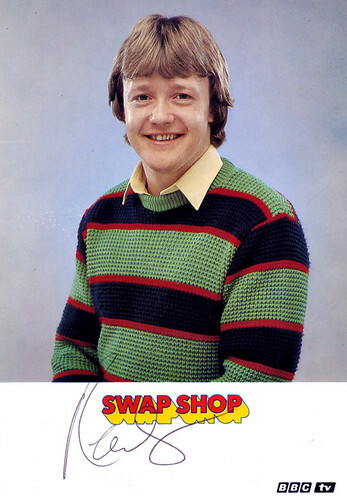 Although I preferred Swap Shop over Tiswas, like many kids, I would occasionally switch over to ITV when there were any "boring bits" to watch Chris Tarrant and co. It was actually quite annoying to have both programmes on at the same time, as I really wanted to watch both of them. Of course, in those days we didn't even have the luxury of video recorders. 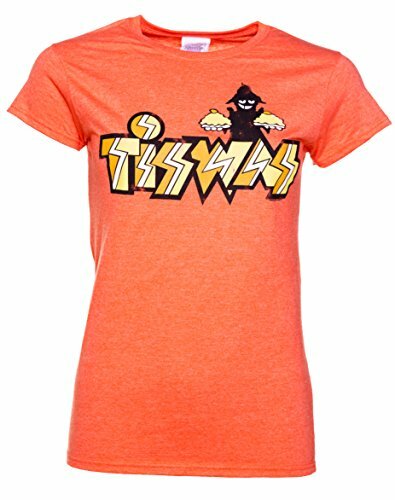 Annoyingly, I would usually discover that I had missed the best part of Tiswas during the first break at school on a Monday morning, when we used to discuss what we had been watching over the weekend. 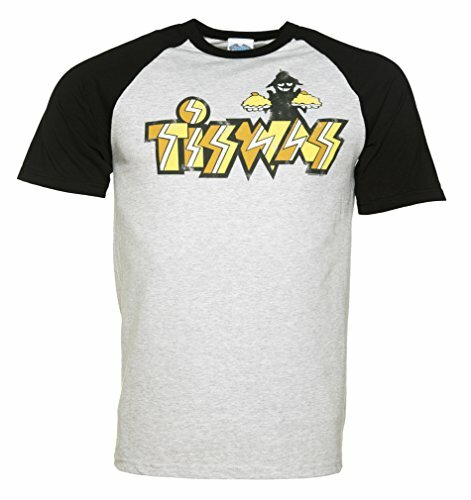 For those of you who didn't grow-up in the 70s or early 80s, Tiswas was a kids TV Show created by ATV, and was aired between January 1974 and April 1982 on Saturday mornings on ITV. It was first shown only on the Midlands TV network ATV, but gradually other ITV regions also aired the show, with Tyne Tees being the last to show it in 1981. For those of you who grew up in the North-East of England, you will be more familiar with Lyn Spencer who presented Lyn's Look-in until 1979 when she became pregnant. After this, the programme's title was changed to Saturday Shake-Up. 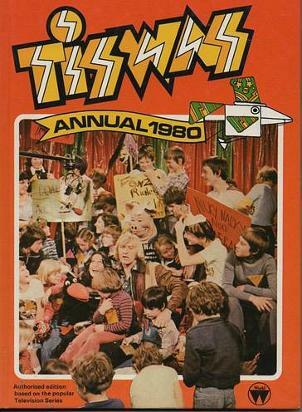 The show’s format consisted of interviews with celebrities, pop bands, cartoons, children’s programmes, etc., but unlike Tiswas, was recorded and not live. TISWAS was an unscripted and, at times, chaotic show and featured regular presenters Chris Tarrant, Sally James, comedian Lenny Henry, Bob Carolgees (usually with his puppet "Spit" the dog) and ex-member of the band Scaffold, John Gorman. Occasionally, comedian Jim Davidson would make an appearance, too. Video clips in the playlist include Legs & Co (who used to dance to the songs on Top Of The Pops when an act couldn't perform in the studio, and before videos were invented!) with actor Dennis Waterman when they became yet another victim of the Phantom Flan Flinger and his family. 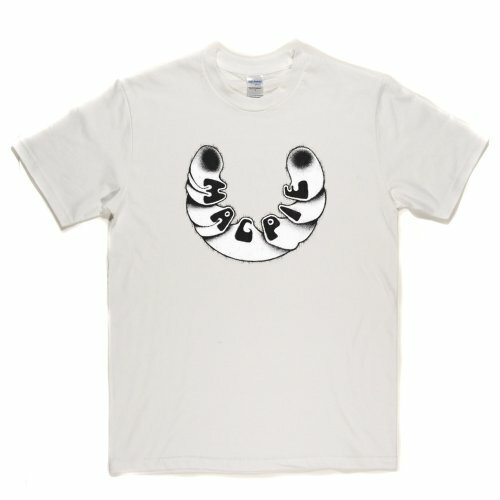 You will also find clips of the opening titles and The Pretenders. 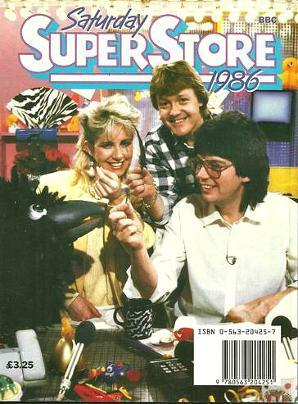 Mike Read and Sarah Greene were the main presenters on Saturday Superstore which ran from 1982 until 1987. Keith Chegwin and John Craven who had previously worked on Swap Shop also helped to present the show. Clips in the playlist at the top of the page include Frankie Goes To Hollywood on Saturday Superstore. Look out for a classic moment when Mike Reid tells them it's Mother's Day! There's also a phone-in interview with a-ha from 1986 and a Doctor Who special with Peter Davison from 1983. Also, don't miss the clip featuring Captain Sensible who appears to be rather intoxicated - not sensible at all! 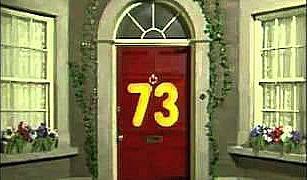 In the playlist you can enjoy rare footage of legendary guitarist and musician Gary Moore paying a visit to No.73 - the 80s Saturday morning kids TV show on ITV which aired from 1982 until 1988. There's also a snippet from series 3 - episode 15, just to bring back a few memories - watch out for the TVS TV Ident at the start. No.73 ran for eight seasons and featured presenters Sandi Toksvig, Neil Buchanan, Andrea Arnold, Kate Copstick, Kim Goody and Richard Waites. In the video playlist at the top of the page, you can see the fresh-faced Philip Schofield and Sarah Greene visiting Alton Towers in a 1980s episode of the Saturday morning show which was broadcast on BBC1 from 1987 until 1993. Regular slots in the programme included the hilarious Trevor and Simon clowning around in their comic routines, Growing Pains with agony uncle Philip Hodson, Double Dare with Peter Simon and the Video Vote which reviewed and rated the latest pop videos and a cooking slot with Emma Forbes. I musn't forget Gordon The Gopher (also known a Gordon T Gopher) who also appeared in on the desk with Philip Schofield. They also appeared together in the broom cupboard segments which were shown in-between programmes on CBBC. Andy Crane and Edd the Duck took over the slot in 1988.